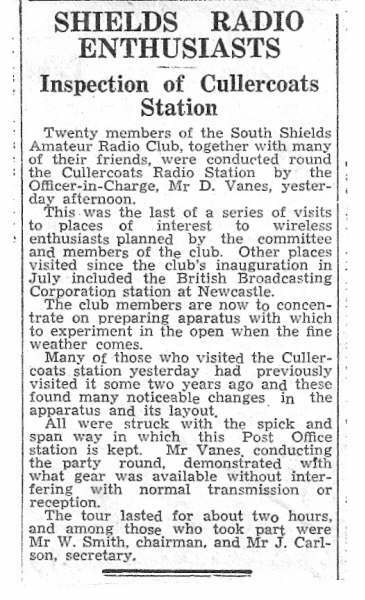 Cullercoats Radio was the only Coastal Station that did not originate from the Marconi Company, the Admiralty or Lloyds. 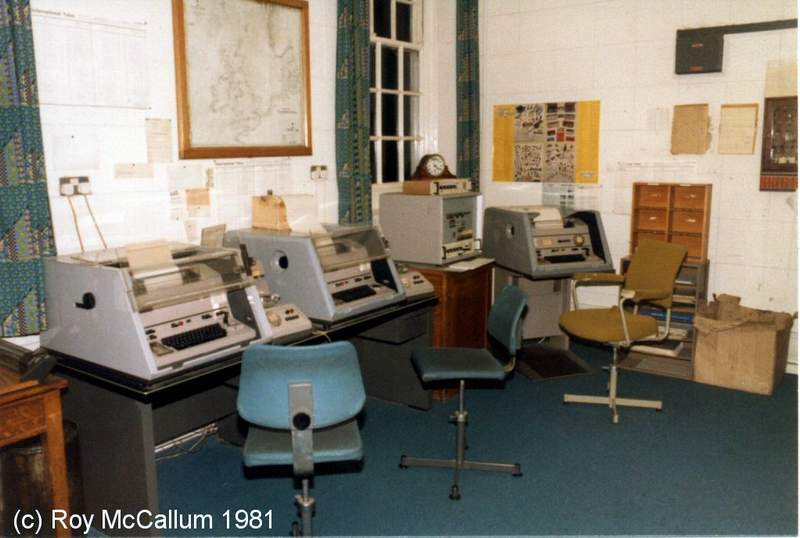 This is a picture of the old landline room showing the 2 telex machines, one incoming and one outgoing, and in the far corner is the radiotelex/sitor (rtt) machine which operated on 3606.6 Khz. The control panel for the rtt is seen to the left of the telex printer. The large map on the wall behind showed the coverage responsibility areas for all the North Sea coast stations, including continental ones. 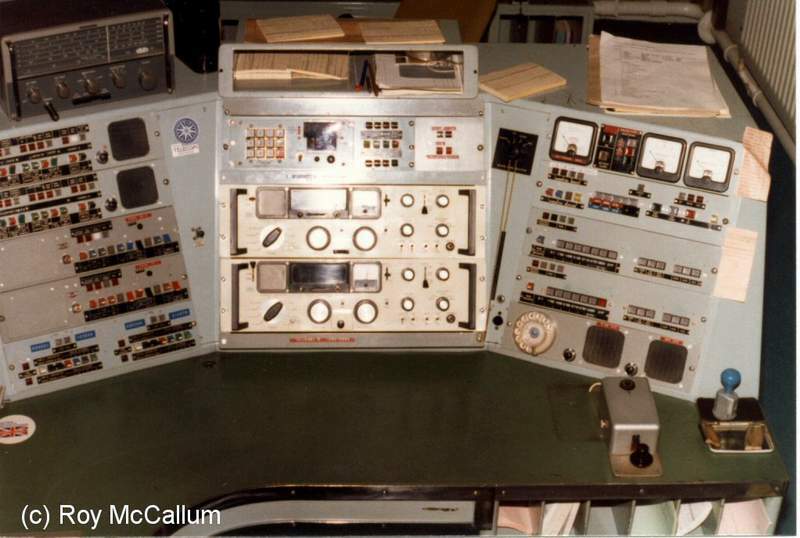 These were the main consoles until around 1986 when the Station was modernised. In the foreground to the left is the main RT console with the WT console to the right. 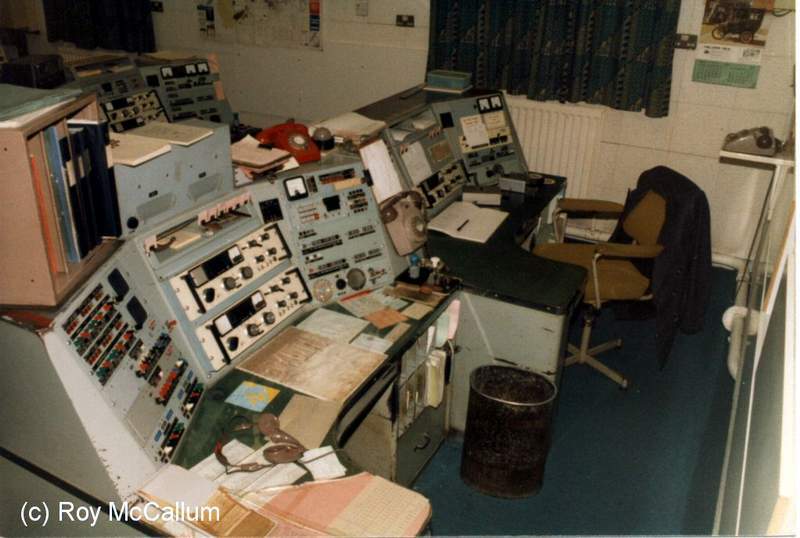 In the background can be seen the 'barge point' - this was a console with 2 rt channels for oil rig and north sea tanker use only. It also had a back up morse key for emergency working. The red phone on top of the console in the middle was a direct link to Tynemouth Coastguard. 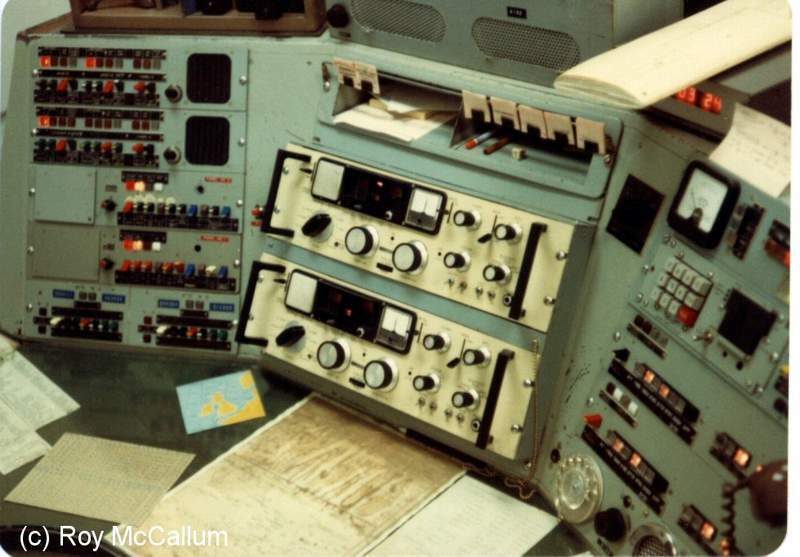 This was the 'barge point' console. The 2 receivers in the centre are Eddystone Radio Co type 958, covering the frequency spectrum 10kHz to 30MHz. 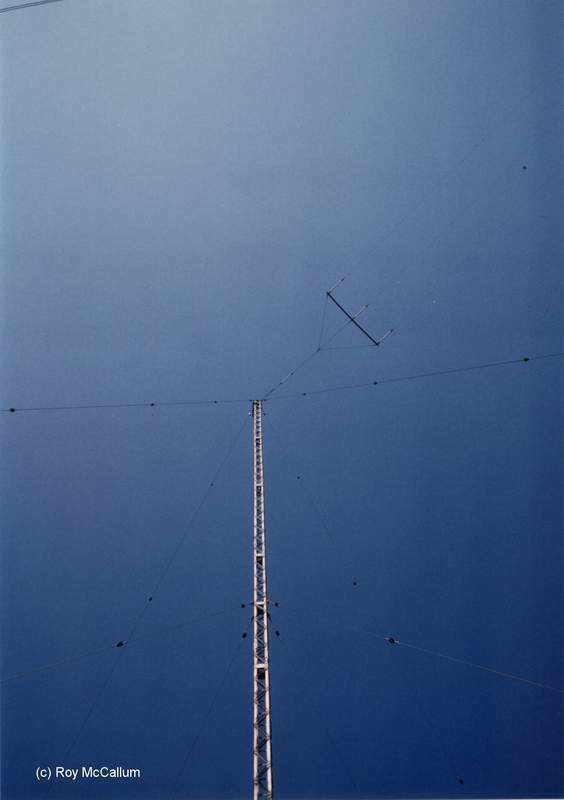 To the left of the picture near the top are the 2 VHF panels, the topmost one being the Whitby Radio remote panel with working channels 25 and 28. 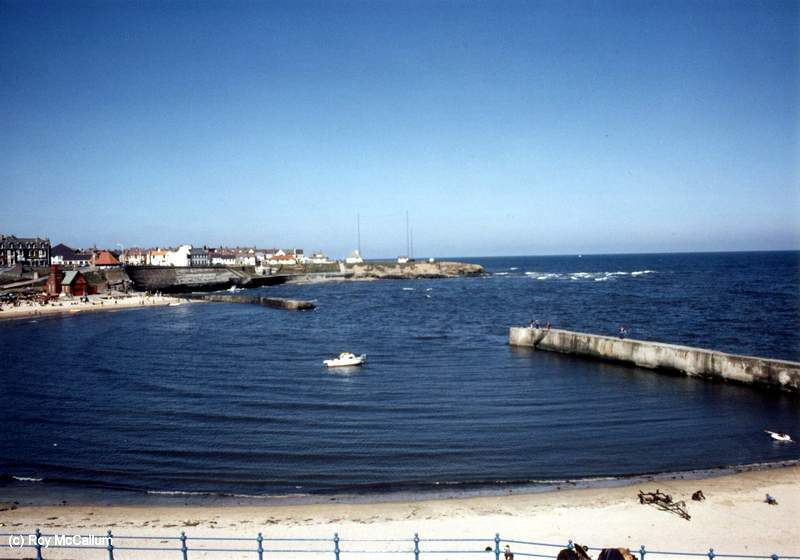 The lower panel was the local Cullercoats channel using channel 26. The next 2 panels down were the control panels for the MF channels and the bottom panel was the telephone line selection panel. The 3 meters to the top right of the console were the signal strength indicators, one for WT and the other 2 for RT channels. The panel below this was for WT transmitter selection and frequency change with the next 2 panels below that for RT transmitter selection, including switches for changing transmission frequency and mode (A3H/A3A/A3J). The 6 selectable frequencies (from the left) were: 1792, 1838, 2182, 2719, 2828, and 3750 (kHz). On the bottom panel can be seen the phone dialler and the speakers to the right were fix-tuned to 500 and 2182 kHz for backup distress working. The morse key shown was fixed to the desk and was an ancient Marconi model - ok for back up use but unreliable for day to day use ! The beer coaster in the bottom left of the picture had a Union Jack on it with the inscription "Post Office International Maritime Radio Services" - essential to prevent coffee spillages. This was taken when I was on night shift at around 5am. This was the view looking directly eastwards from the Radio Station grounds. The colours seen are entirely natural, no filters were used in this photograph. This picture was taken on a very hot day in the early 80's and again, no filters or tricks were involved in the photo. 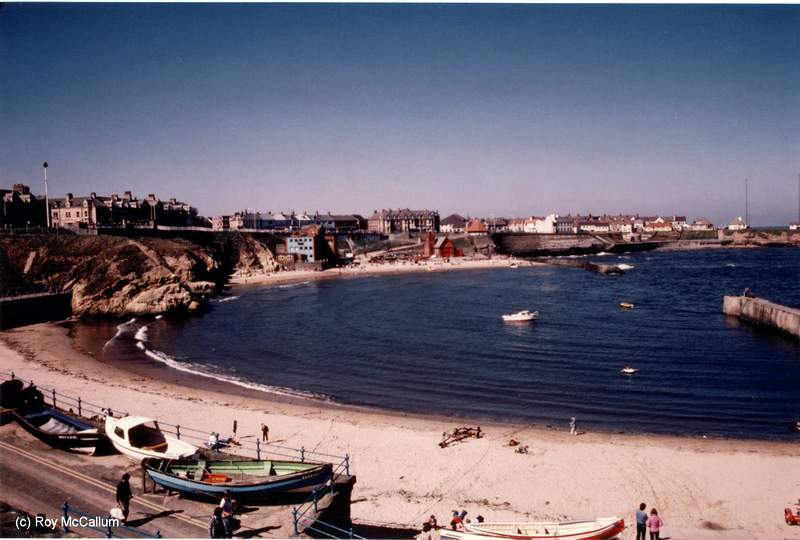 The building on the beach to the left in the distance is the Cullercoats ILB station. You can see how close it is to the CRS and we had an excellent working relationship with these lads (including the occasional beer out of working hours in the Bay Hotel which is located directly above the ILB station). Just to the right of the 2 metal masts can be seen the old wooden mast - this was already disused and was dismantled in around 1982. In the 18 years I worked at the station, the masts had to be removed and resited further from the sea 3 times as the soft rock on the foreshore crumbled away and we lost around 4 foot of land every year. 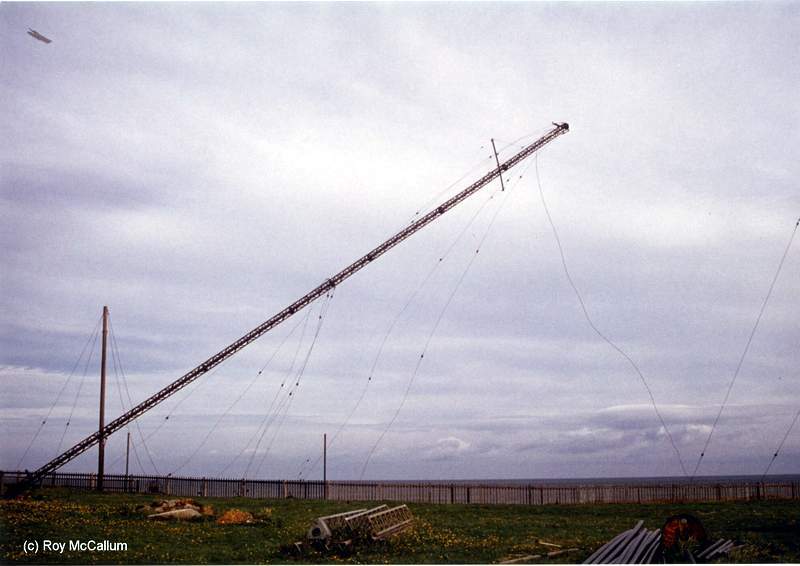 As told above, this is one of the occasions when a mast was moved. It involved letting the old one crash to the ground (semi-controlled by a rigger down on the beach pulling a guide rope !!! - however in this instance the mast crashed through the wooden fence resulting in a repair job for the local fencing specialists). The guide rope can be seen tailing off from the top of the mast. I only had one chance to take this photograph hence the underexposure. The sections of the replacement mast waiting to be constructed can be seen on the ground in the foreground. The wooden mast in the background was also brought down the same day but not quite so spectacularly. The main building can be seen at the base of the leftmost mast. The smaller building to the right was the original radio station but was now being used to house the back up diesel generator (which was a Cummins diesel lorry engine). This was the building where Marconi himself sent test messages to Denmark around 1914. I have internal photos of this orignal station but do not own the copyright. The even smaller building to the seaward end was the radar hut - this had been decomissioned years before this picture was taken. 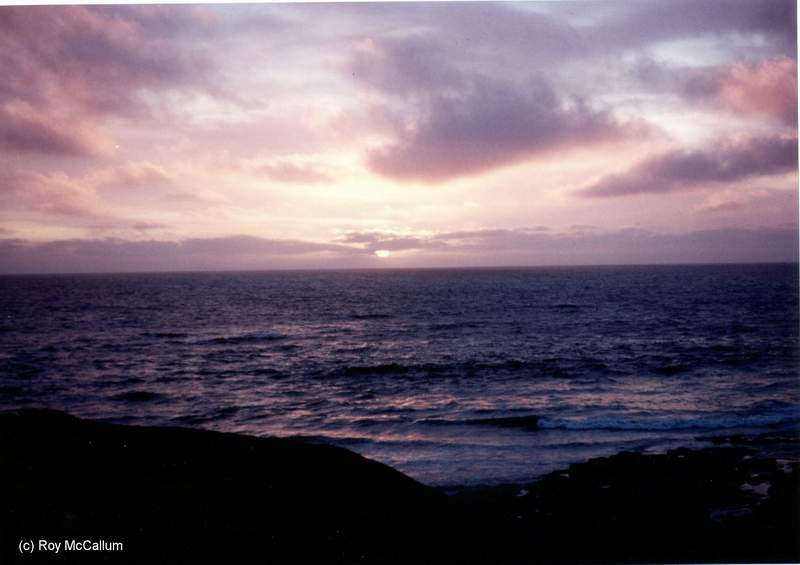 This was the view northwards from the edge of the clifftop within the radio station grounds. St Mary's lighthouse can be seen in the distance in the centre of the picture. It was decomissioned around this time and is now a museum. An 'arty' shot of one of the masts supporting the capacitance top WT aerial. A monochrome shot of a previously seen view. Another external monochrome shot. The circular building to the bottom left of the picture was the water purification plant which meant only some raw sewage went into the water instead of lots !! The erosion of the cliffs can be clearly seen here - this was the south elevation, the erosion to the eastern seaward side was far more severe. The force of the waves had created caves leading deep under the ground beneath the radio station and on some night shifts the whole building shook when storm tides came in. A slightly different viewpoint to that of image 5. This photograph was taken using my Canon A1 with Kodak Ektachrome slide film - most of the larger colour prints were taken from 35mm original slides and converted into 10x7 prints. A copy of this photo in 20x16 format was purchased from me by the landlord of the Queens Head public house (which can be seen directly above the boat in the middle of the bay). The photo was hung in the bar and lead to many follow-up orders - originals are to be found in Australia, New Zealand, the USA and elsewhere ! Just to prove that the images I took of gloriously hot summer days were not really typical, this is a shot of the more common weather to be found locally! This was taken one afternoon in the middle of one our famous northeasterly squalls and I captured the exact moment that the metal guard rail was broken by the incessant waves. This picture was taken just round the corner to the north of the radio station, from the garden of the house where I was living at the time. 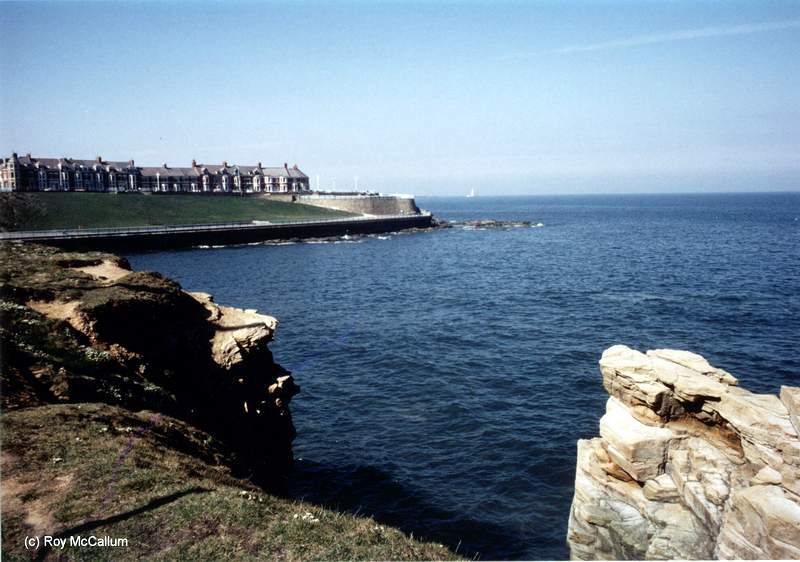 Another shot of Cullercoats Bay from a slighty different viewpoint. 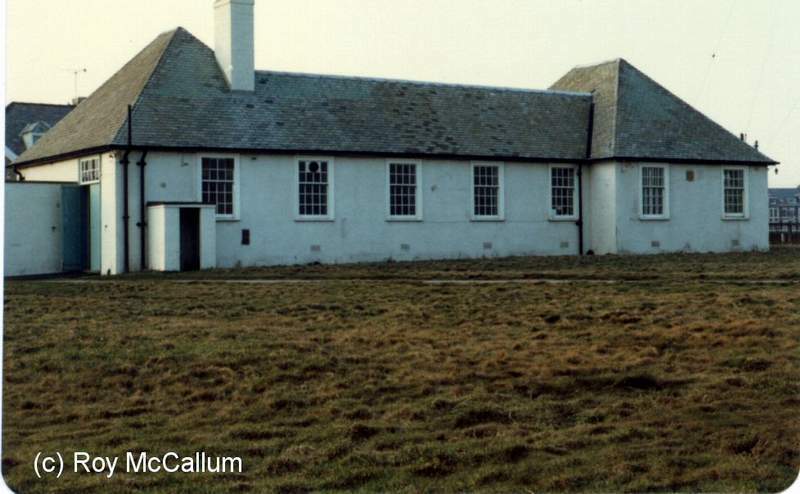 In the foreground is the Dove Marine Laboratory and is still in use today. The lifeboat station is in the background and a couple of traditional fishing cobles can be seen on the beach .The building just above the lifeboat station was the old watch house, and the building at the very top left was the Queens Head ph. Again, no filters were used in this photograph - that's a real thunderstorm brewing in the background. Me ! I took this one nightshift using the self-timer mechanism. I was sending the 0425 traffic list (QRU as usual !) 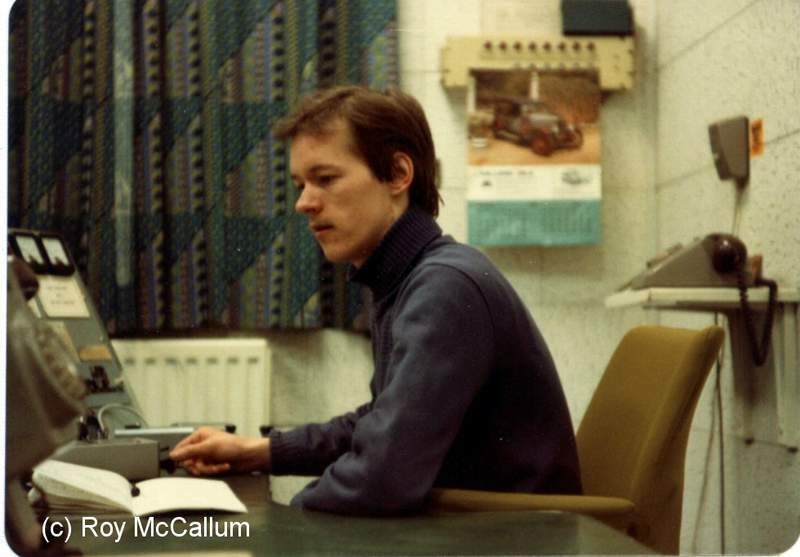 I was the youngest Radio Officer ever to work at GCC - I joined the service at 20 years old. I can be seen here using Roger Harley's home made electronic key - it was the best autokey I have ever used - 28 wpm effortlessly. On the wall to the right above the phone was the switch for the measured mile lights. 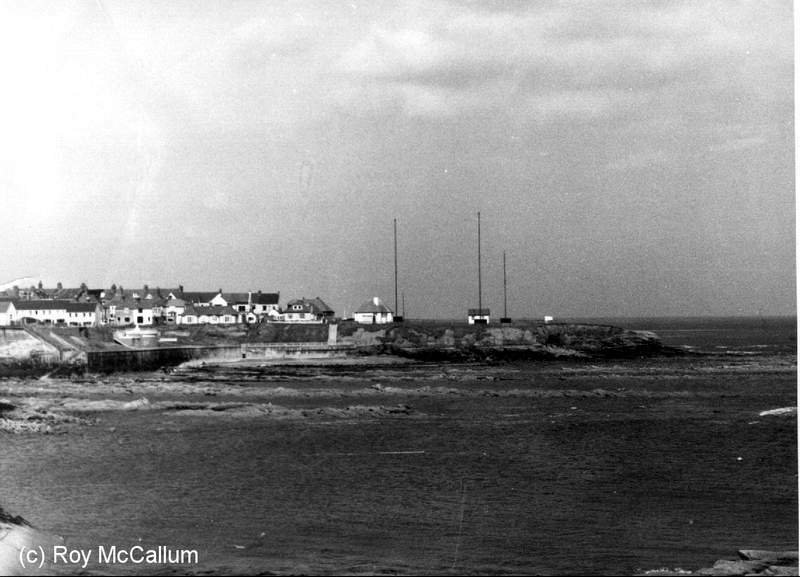 These lights were situated further up the coast at Newbiggin and were used in newly-built ship trials to measure speed and performance between two fixed points. They were paid for by the day and were booked through us via Tyne harbourmaster. The alarm panel which the calendar is attached to was connected to our remote transmitting site which was located 4 miles to the north at East Hartley. Another view of the main RT console, taken at 03:24 if the digital clock is to be believed. It is partly obscured by an Admiralty chart! A rare external view, looking westwards. From the left, the first window leads to the boiler house, with the chimney attached. This utilised a gas boiler and was much needed in the winter. The next window is that of the Kitchen - much needed at any time of the year! 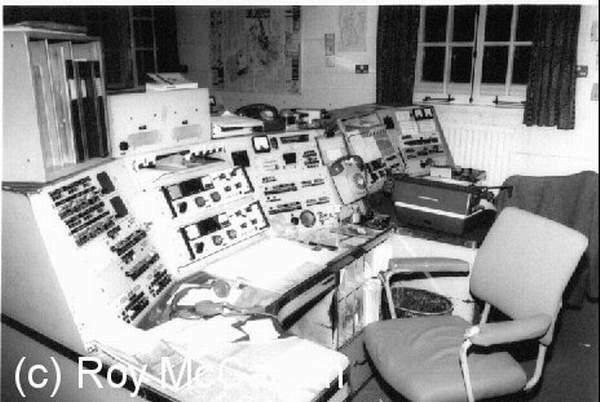 Next was the station manager's office and the next 2 were the landline room. The final 2 windows looked out of the operating room. There was a large loft area inside which was used for storage. Another view of the same. The large double doors to the very right of the building led into the original transmitter room. All the transmitters were relocated to the remote site at East Hartley. 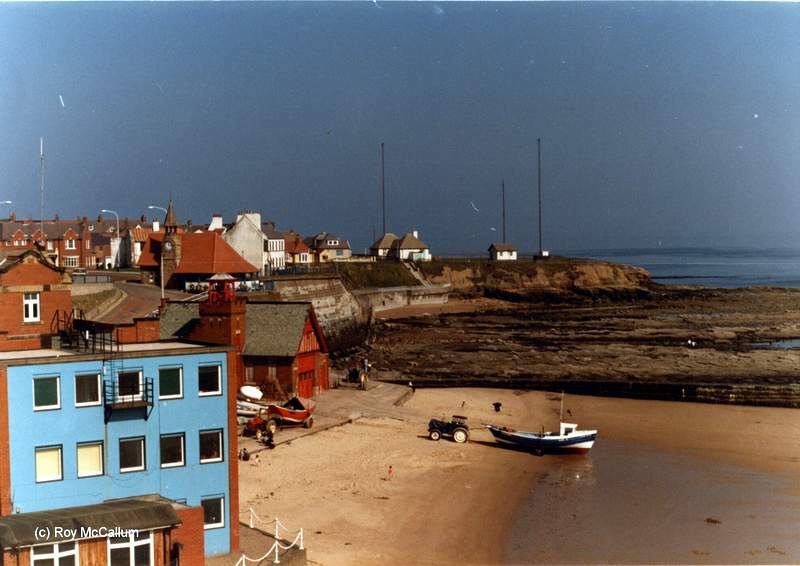 This picture was sent by Alec G8PWX/G4PEC and shows what Cullercoats Radio looks like today. 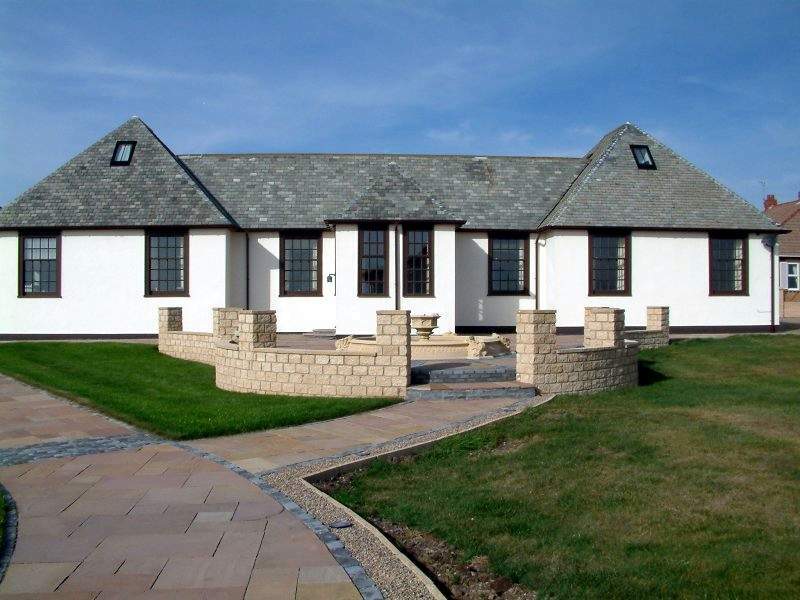 He says "Oh and by the way the small building by itself now houses a Power Pool and loo plus Power Shower unit and is centrally heated can’t be bad." 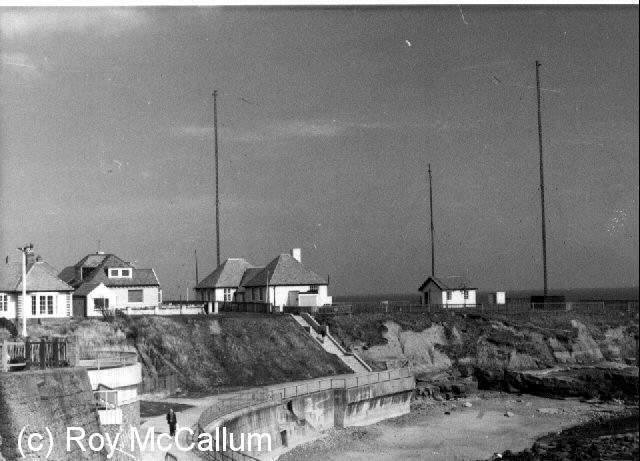 The following nine photographs show the remote TX site for Cullercoats Radio at the remote transmitting site which was located 4 miles to the north at East Hartley. Navtex Transmissions are still made from this site on 518 & 490KHz .